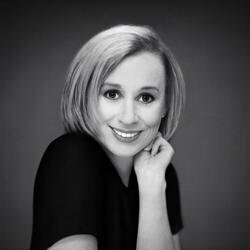 Jocelyn Minton is a woman torn between two worlds. Her mother grew up attending private schools and afternoon teas, but she married the local handyman. After her mother died when Joce was only five years old, her father remarried into his own class, and Joce became an outsider -- until she met Edilean Harcourt. Although she was sixty years Joce's senior, Miss Edi was a kindred soul who understood her like no one else ever had. When Miss Edi passes away, she leaves Joce all her worldly possessions, including an eighteenth-century house and a letter with clues to a mystery that began in 1941. In the letter, Miss Edi also mentions that she has found the perfect man for Joce -- a handsome young lawyer. Joce is shocked to learn that the mystery, the house, and the future love of her life are all in Edilean, a small town in Virginia that Miss Edi never told her about. Hurt that the woman who meant so much to her kept so many secrets, Jocelyn moves to this tight-knit village in an attempt to understand the legacy that has been left to her. As she begins to dig into Miss Edi's mystery, she soon discovers some shocking surprises about her family's history and her own future -- and she meets a man with his own mysterious past. 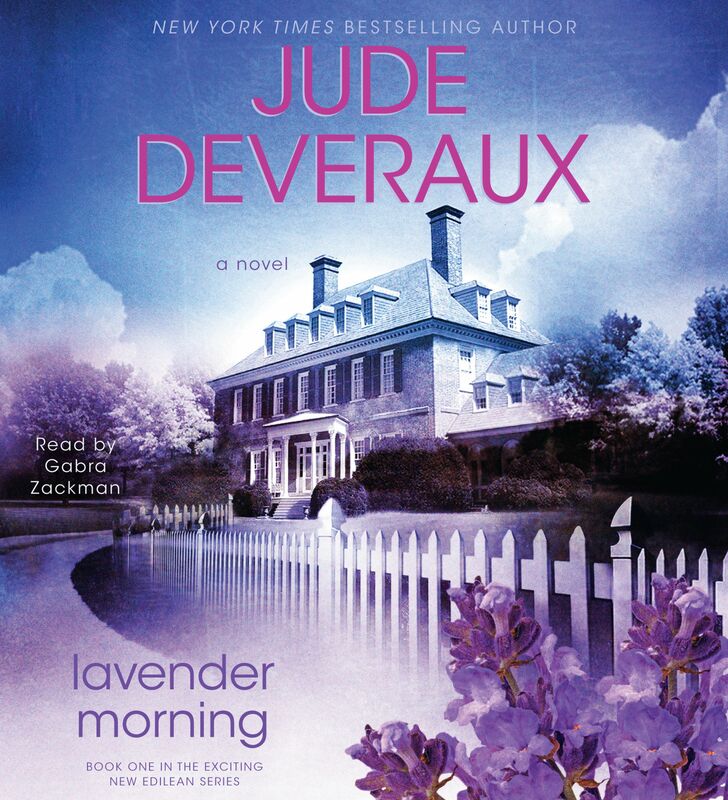 This reading group guide for Lavender Morning includes an introduction, discussion questions, ideas for enhancing your book club, and a Q&A with author Jude Deveraux. The suggested questions are intended to help your reading group find new and interesting angles and topics for your discussion. We hope that these ideas will enrich your conversation and increase your enjoyment of the book. Jocelyn Minton is a woman torn between two worlds. Her mother grew up attending private schools and afternoon teas, but she married the local handyman. After her mother died when Joce was only five years old, her father remarried into his own class, and Joce became an outsider—until she met Edilean Harcourt. Although she was sixty years Joce’s senior, Miss Edi was a kindred soul who understood her like no one else ever had. When Miss Edi passes away, she leaves Joce all her worldly possessions, including an eighteenth-century house and a letter with clues to a mystery that began in 1941. In the letter, Miss Edi also mentions that she has found the perfect man for Joce—a handsome young lawyer. Joce is shocked to learn that the mystery, the house, and the future love of her life are all in Edilean, a small town in Virginia that Miss Edi never told her about. Hurt that the woman who meant so much to her kept so many secrets, Jocelyn moves to this tight-knit village in an attempt to understand the legacy that has been left to her. As she begins to dig into Miss Edi’s mystery, she soon discovers some shocking surprises about her family’s history and her own future—and she meets a man with his own mysterious past. 1. Talk about the sights and smells of the town of Edilean. How do these vivid descriptions enhance your read? 2. What are some of the stereotypes Jocelyn has of Southerners? What are some of the stereotypes they have of her? 3. Keeping secrets is a major theme of the novel. Discuss some of the secrets in the novel and how they move the plot forward. 4. Compare and contrast Luke and Ramsey. How are they alike? How are they different? 5. From Sara to Tess, Luke to Miss Edi, people in the novel are often misrepresented because of the perceptions other townspeople have of them. Talk about some of the instances where the townspeople in the novel were wrong. Talk about initial perceptions of characters that you may have had and were wrong about. 6. Describe Luke’s beloved garden. What do you think the garden in the story represents? 7. Jocelyn’s life journey seems to have very similar elements to Miss Edi’s life journey. Think about their lives and what lessons they both learned through love. 8. Sara, Jocelyn, and Tess are all very sassy women, and they are very different from Ingrid, Bell, and Ash. Describe what qualities the author seems to find admirable in women. Based on the characters in the book, what qualities do you think the author finds deplorable? 9. Think about the men in the novel who are central to the story. What are some of the qualities they share? How does the author differentiate between the good men and the bad ones? 10. From reading this novel, what have you learned about “small-town life”? Talk about some of the pitfalls. What are some of the advantages? 11. What role does death and loss or the thought of death and loss play in the novel? What kind of reaction does it bring from the characters? 12. Talk about the older generation. What is their function in the novel? How does the author use the older generation of the town to influence the younger generation? How does this element support the plot? Research lavender and the many uses of the plant. Bring some blooms to your meeting, light a lavender-scented candle, or add a touch of the color to your outfit! Throw a cupcake party in celebration of your book club meeting about Lavender Morning. Design and decorate them the way Tess does in the novel. Q. Is Edilean based on a real town? A. Yes and no. It’s a composite of several small towns that I’ve lived in, where everyone knows one another and their business. Q. Why did you choose to set part of your novel during the period of World War II? What interests you about that time period? What research did writing this story require? A. I grew up hearing stories about WWII, and when I was a child there were TV series set during the war, so it’s a vivid time period for me. As for choosing it, I needed a time when a young Miss Edi could prove herself. She’d been raised to have tea at Edilean Manor, but I needed for her to do more than that. She learned a lot about herself during the war, one thing being that she didn’t want to live in Edilean with her lazy brother. As for the research, I spent weeks checking out exactly what was happening on specific days. I studied what was going on in England, even searching out the magazine articles of that week. I studied codes of that time and how messages were passed back and forth. Then there was the car that David drove and the brace that was put on his leg. It was all fairly detailed, but I enjoy research very much. Q. The women in this novel are all strong female figures with strong personalities. Are these the type of women you like to write about? Do they reflect women you know or have known? A. I like to write about women who change because of what happens in the novel. I don’t think Joce knew that she was on the verge of depression, but Miss Edi knew it. Edi thrived when she got away from the smothering closeness of the town of Edilean, and she knew that Joce needed that too. Joce needed a family, since the one she had, with the wicked stepsisters and stepmother, gave her nothing. Edi and Joce had each other, but Edi knew that when she was gone, Joce was going to be lost. Q. What drew you to Miss Edi and Jocelyn? What made their story so compelling for you? A. I wanted to write a series of books, as I’d done before, but I didn’t want to limit myself to a few families, so I created a small town. The first question was how to introduce the inhabitants. Since I’d never seen the town before, I couldn’t very well start with a person who’d grown up there. I needed an outsider so I and the reader could see the town with fresh eyes. The first thing I saw was that something had happened in 1941 that was still causing problems today. Eventually, Joce came into my mind as the link between the longtime residents and the newcomers. Q. Do you know who you want your heroine to end up with before the novel is finished, or is it something that develops as you write? A. For my entire writing career, I have been trying to write a book in which the heroine has a choice between two men. I’ve tried it many times, but haven’t been able to pull it off. Lavender Morning was no exception. Joce and Rams couldn’t find anything to talk about. I put them together at a picnic, but after just a short while they had nothing to say to each other. I wandered about for three days trying to come up with dialogue, but nothing came to me. Then I had Rams visit his secretary and, wow! sparks flew. Totally unexpected! And after Rams left the picnic, Luke stopped by and he and Joce couldn’t shut up. Q. There’s a Cinderella element to the story, but Jocelyn doesn’t seem to need a Prince Charming. Were you playing with any of those elements as you were writing? A. Who doesn’t need a Prince Charming? Joce needed everything: a home, a family, friends, intelligent people to talk to. She needed Edilean, and the townspeople needed her. Q. Lavender Morning includes many elements of a mystery. Are there any mystery writers who inspired the plot twists and turns? A. I love mystery stories. I love to read them and write them. From the first, I knew that there would be a mystery in Edilean, and I plotted it out over several books. Q. Luke is an avid gardener, and the book includes extensive descriptions of gardening. Are you a gardener yourself? A. Yes, I love gardening. I’ve grown orchids for many years, and I nearly always have a vegetable garden. There’s nothing like picking your own tomatoes. Q. What made you decide to write the Edilean series? What do you like about the format of a series, rather than individual novels? A. I like to write series because I can’t bear to leave my characters. I want to know what happened to them after they fell in love. And there are always side characters who I want to know more about. I really liked Sara in this book and have written a novel about her. A. I recently finished Scarlet Nights, which is about Sara Shaw and Tess Newland’s brother Mike. I truly loved that book because it was very exciting to write. Right now I have about a quarter of a book about Colin Frazier written. The Frazier family is a bit of a mystery to the town of Edilean, and to me as well, so it’s been interesting to get to know them. I like how their personalities tie into the way they were back in Scotland in 1766 (Days of Gold). At the same time as I’m working on the book about Colin, I’m making extensive notes about a book on a descendant of Matthew Aldredge, a man from Days of Gold. It seems that Dr. Tristan is in love with a woman who lived back in 1893.